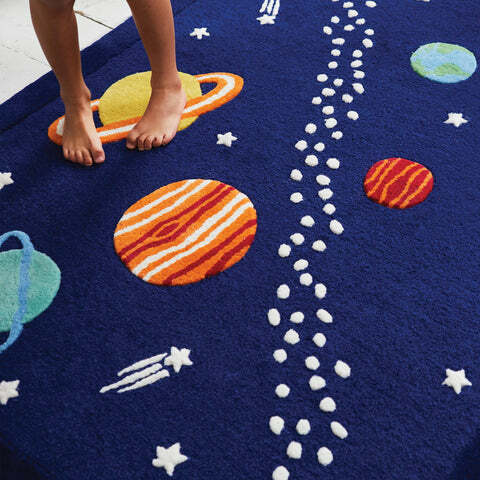 Space Rug | Great Little Trading Co. Washing instructions: Please do NOT dry clean or machine wash our 100% wool rugs, they do not survive this treatment! We recommend professional rug/carpet cleaning for our rugs, but cleaning with a carpet washer/vacuum cleaner is also suitable; just make sure your rug is thoroughly dried and aired before using again. Clean any spills immediately by blotting with a clean damp sponge or cloth and air dry. 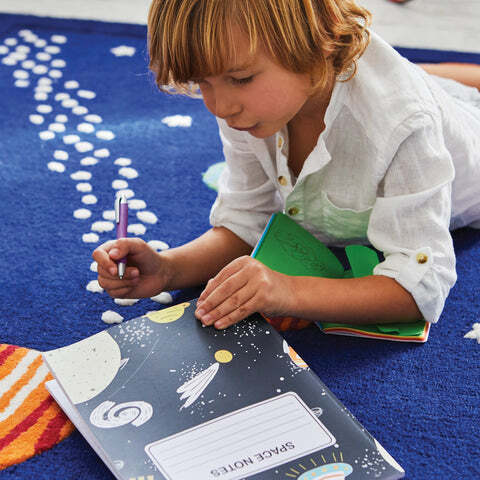 We love the colours on this stunning, thick wool rug; it looks fabulous in kids' bedrooms and there's lots of potential for fun learning - what a cosy way to learn about the universe! We make sure our rugs are super cosy and really durable; that's why they're hand crafted and finished from thick, pure wool. 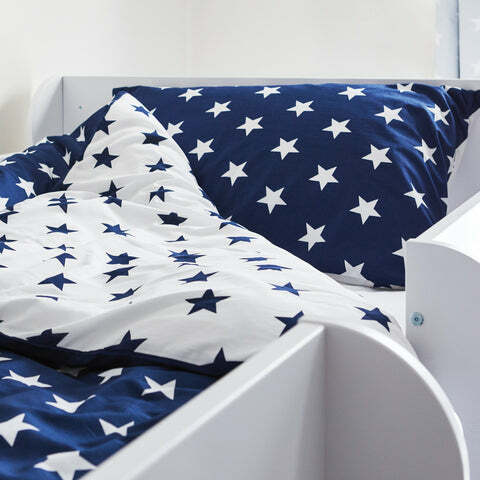 Continue the Space themed look for your child's bedroom or play area with our Navy Star design; take your pick from the Canvas Storage, the Duvet Cover Set and lots more. Washing Instructions:Please do NOT dry clean or machine wash our 100% wool rugs, they do not survive this treatment! We recommend professional rug/carpet cleaning for our rugs, but cleaning with a carpet washer/vacuum cleaner is also suitable; just make sure your rug is thoroughly dried and aired before using again. Clean any spills immediately by blotting with a clean damp sponge or cloth and air dry.